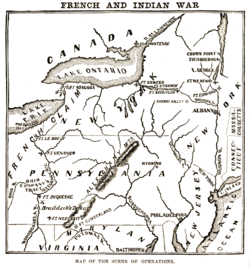 The Battle of Fort Oswego was one in a series of early French victories in the North American theatre of the Seven Years' War won in spite of New France's military vulnerability. On the week of 10 August 1756, a force of regulars and Canadian militia under General Montcalm captured and occupied the British fortifications at Fort Oswego, located at the site of present-day Oswego, New York. The British formed an aggressive plan of operations for 1755. 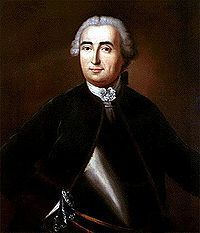 General Braddock was to lead the expedition to Fort Duquesne, while Massachusetts provincial governor William Shirley was given the task of fortifying Fort Oswego and attacking Fort Niagara, Sir William Johnson was to capture Fort St. Frédéric (at present-day Crown Point, New York), and Lieutenant Colonel Robert Monckton was to capture Fort Beauséjour on the frontier between Nova Scotia and Acadia.